In our commitment to maintaining outstanding safety, reliability, performance and environmental standards, Honda occasionally asks our owners to bring their Honda to a dealer to perform recalls and/or product updates. This work is performed by Honda certified technicians and is provided at no charge to our owners. You’ll catch potential problems now and lengthen your vehicle’s lifespan. You’ll maintain the value of your car if you choose to sell it or trade it in. You could pay absolutely nothing for the issue to be repaired. You pay absolutely nothing to check the recall status of your vehicle. Fill out the form below to check for any recalls on your Honda. Recalls checks are not meant to cost you more money. They are meant to provide you safety, peace of mind and reassurance that everything is fine with your Honda. That’s why we don’t charge for this service. If your Honda has existing recalls or Honda campaigns, you may not have to pay to fix it. That’s why Honda’s Genuine Warranty Coverage is great because they take the worry out of the occasion. Got too many things to do? Tired of waiting around? Ask about our FREE Shuttle Service to take you anywhere in Okotoks and South Calgary, whether it be home, work or play! Use Our Vip Concierge & Loaner Service! 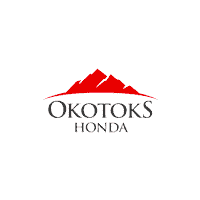 Exclusive to Okotoks Honda, we offer our VIP Concierge Service where we will pick up & drop off your vehicle for regular Honda maintenance services. On the flip side, when you come to the store for your recall check, we will provide you with a loaner vehicle for your leisure.